ANDREW GARVEY pre-empts the Christmas season with a tale of a Yuletide Werewolf! All Fall Down – What was the Hollinwell Mystery? Has DNA proved Aaron Kosminski was Jack the Ripper? 124 years ago this morning Jack the Ripper claimed his first victim. 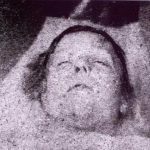 Ripperologist JON REES looks at the horrific murder of Mary Ann Nicholls that began what we now know as the Whitechapel Murders.